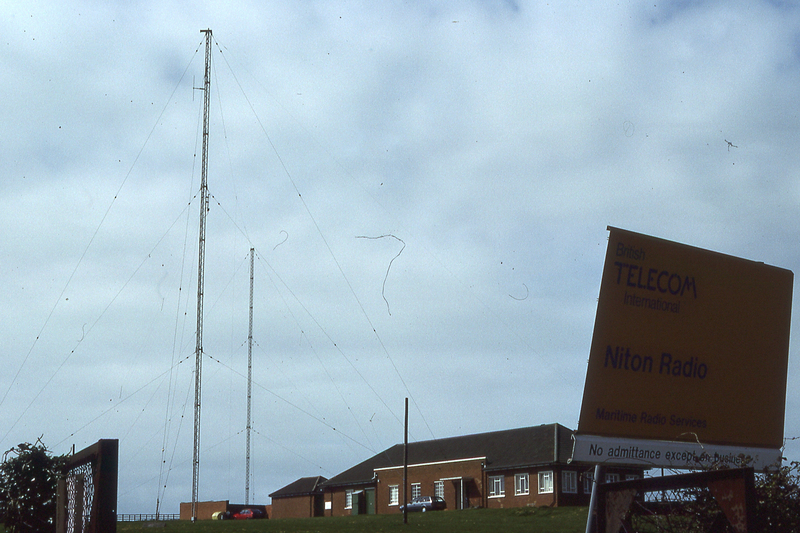 Niton Closed it's MF service at Midnight on 31st May 1997. 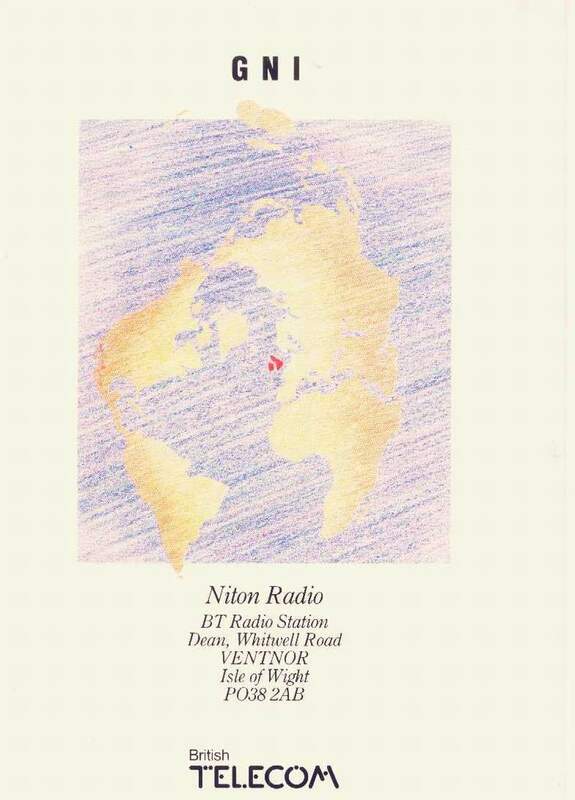 There can be few radio amateurs active on top band for a number of years that don't remember hearing Niton Radio. 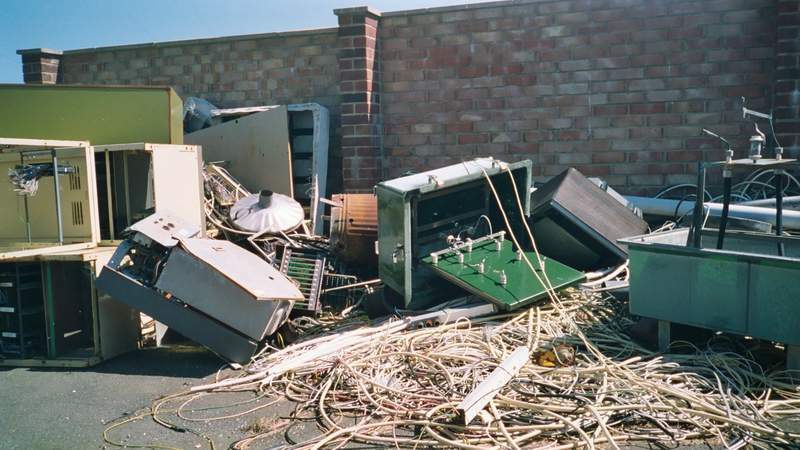 This is what is currently left of the antenna farm at "Niton Radio Callsign GNI"
The following four pictures are all © Robin Box G8RWM and should not be used elsewhere without permission. The pictures below were taken by and are © David Bailey who used to be an operator at the station, the text is from David as well. This one is of the inside of the operating room that I took many years ago, when I was working there. The guy in the picture is Roger Hammerton, who emigrated to Spain later on. 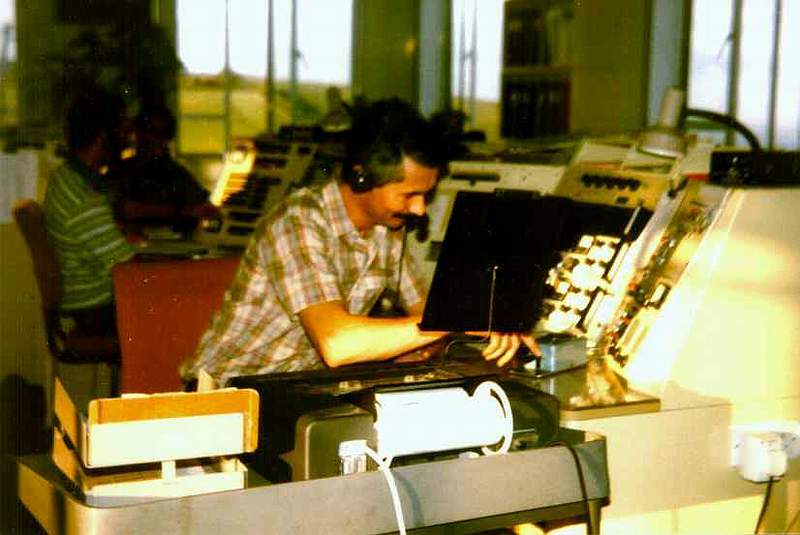 He is at the Morse operating position, and at the moment the picture was taken, was actually keying the transmitter. In front of him on a trolley is the telex machine; he would have typed the ship's message directly on to the telex, which would then have been forwarded to its destination, usually within just a few minutes. 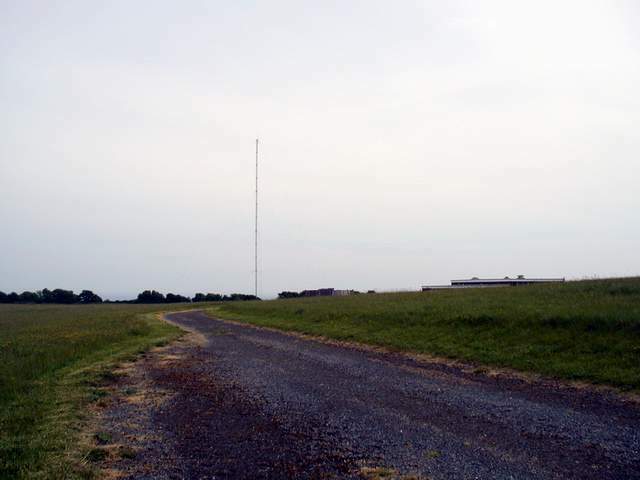 Behind him, but not really visible, are two of the three radiotelephone operating positions. Staffing levels varied during the 24 hrs, between 0900 & 1300 there would be 5 operators on duty, between 1300 & 2300 there would be 3, and from 2300 to 0900 there would be 2 on duty, principally for the distress watch. 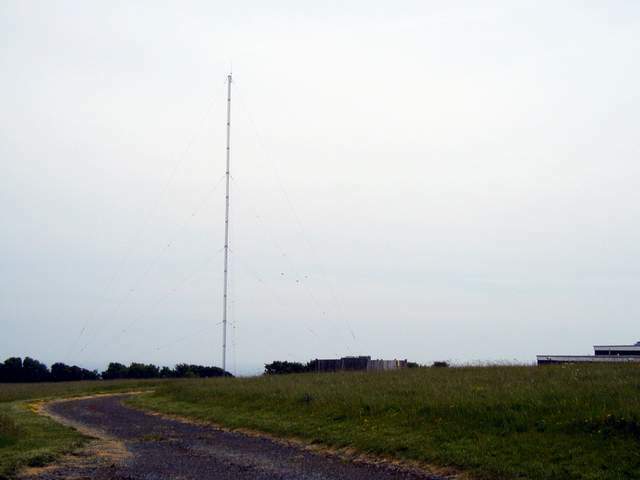 Recent photos of when I last went up to the Niton Radio site. 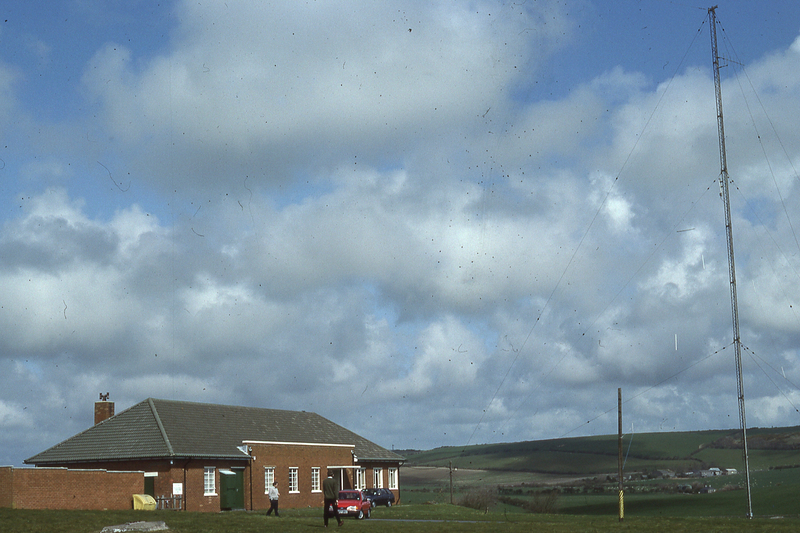 'View from gate' is looking up the approach road to the station, 'scrap' is some of the old gear that has been ripped out and dumped in the car park, 'view from window' is what we saw looking seaward from the operating room. 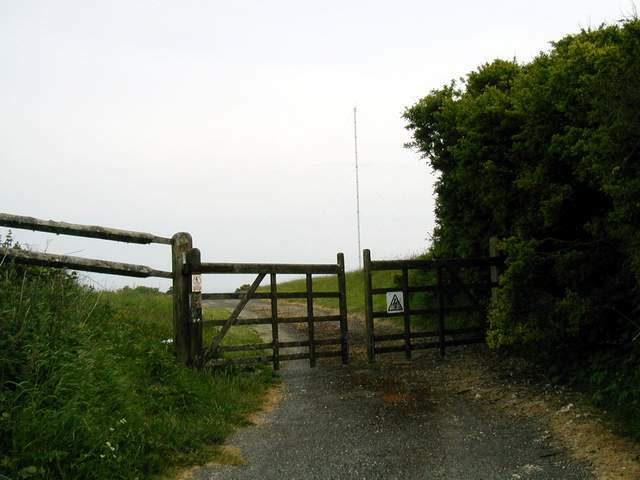 This is the receiving site at St.Lawrence, between Niton and Ventnor. 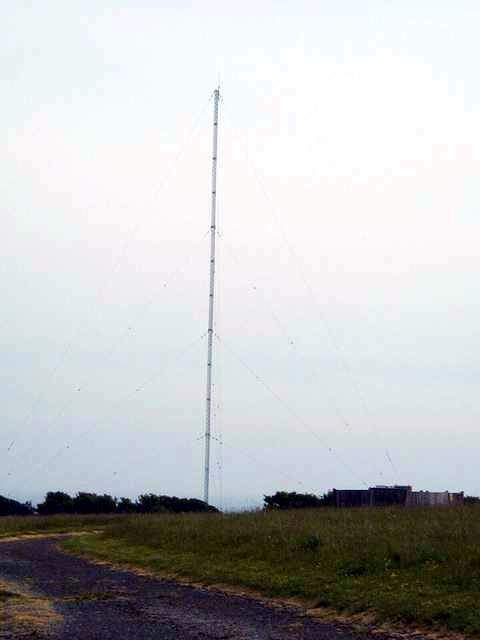 There were two masts which acted as receiving aerials for the 2MHz radiotelephone service, and slung between these was a 'T' aerial, which was the 410 - 512 KHz Morse telegraphy receiving aerial. 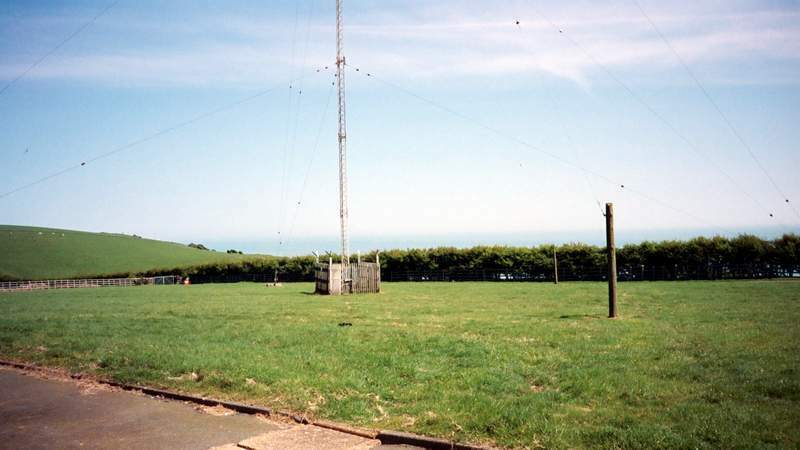 The transmitting station was at a site called Rill Farm, between Niton and Blackgang, which had a bigger building and a much larger aerial field, but was unmanned, being remotely controlled from the St.Lawrence receiving site. 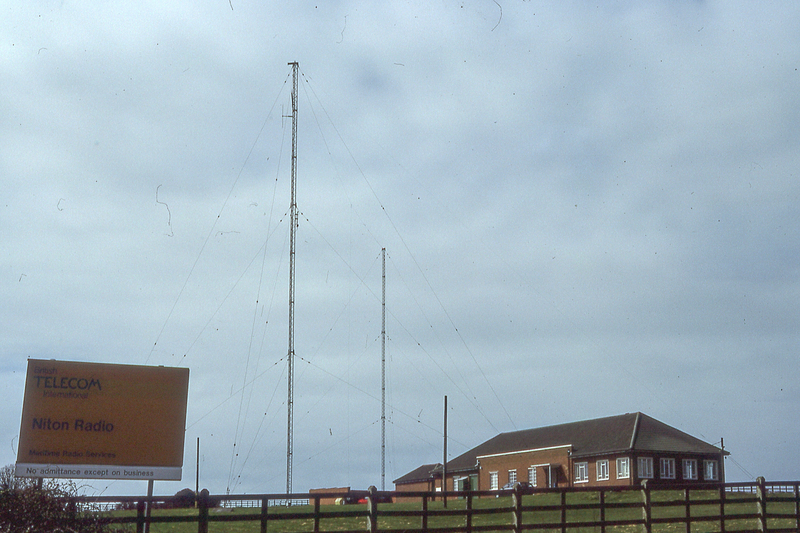 This arrangement came into being in 1975; the St.Lawrence building was originally an RAF radio site (forward scatter station), and the Rill Farm building was newly constructed. 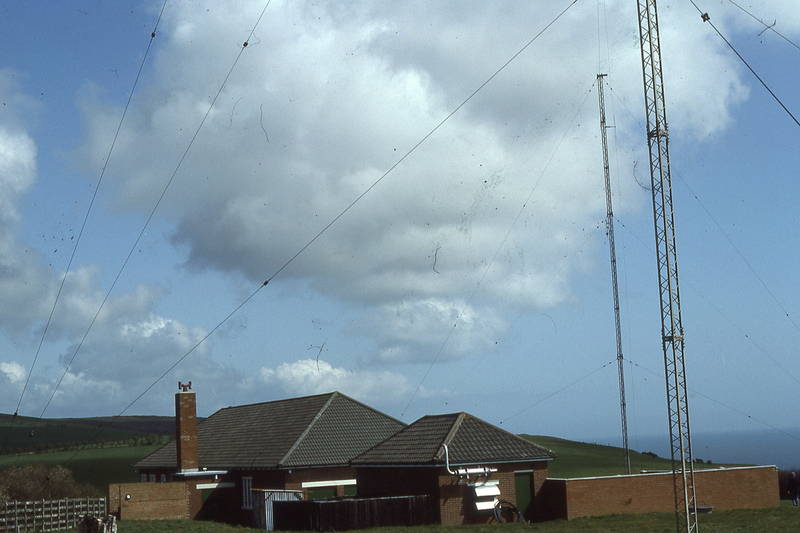 Before this, there was just one building much lower down, below the village of Niton, housing the staff and all the equipment. This is the QSL card that was used to send to listeners who sent in reception reports. 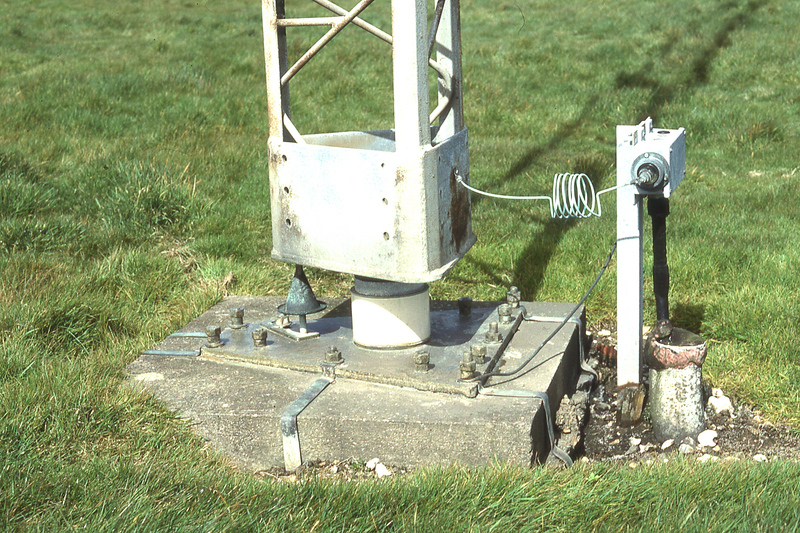 The reports usually came from the UK and near Europe, of course, because we operated on MF. However, at night time they used to work the Mediterranean and occasionally the Red Sea. at a certain time, we could be heard there. 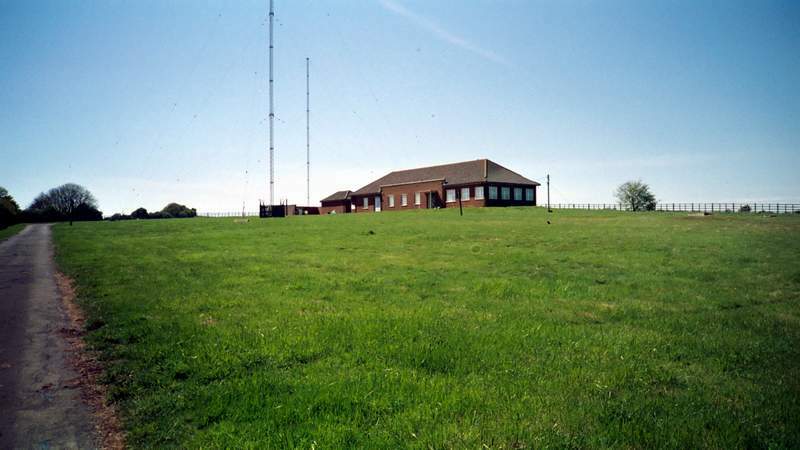 far superior to our flank stations, North Foreland and Lands End. 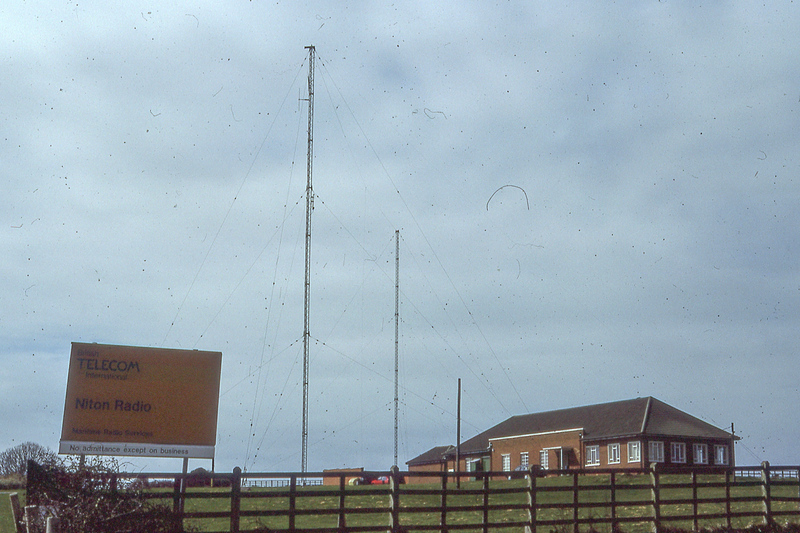 The following images from 2nd April 1993 were sent to me by Neil G4EMM. Click here for a 1975 leaflet & Text describing the move to the new buildings.